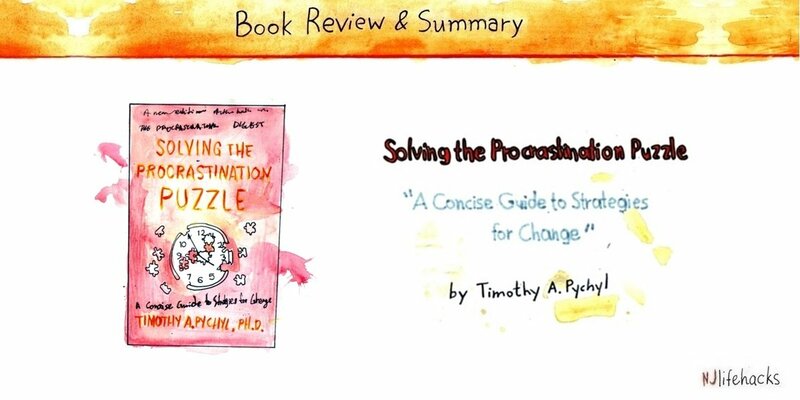 Solving The Procrastination Puzzle by Timothy Pychyl is a super short book with lots of actionable advice on how to overcome procrastination. Pychyl is a psychology professor and one of the world’s leading experts on procrastination. He’s been researching about it for 20+ years and distills his favorite ideas into this little book. Due to its short and easy-to-read nature, this book is really procrastinator-friendly. Who Is Solving The Procrastination Puzzle For? 1. What Is Procrastination? And What Is So Puzzling About It? 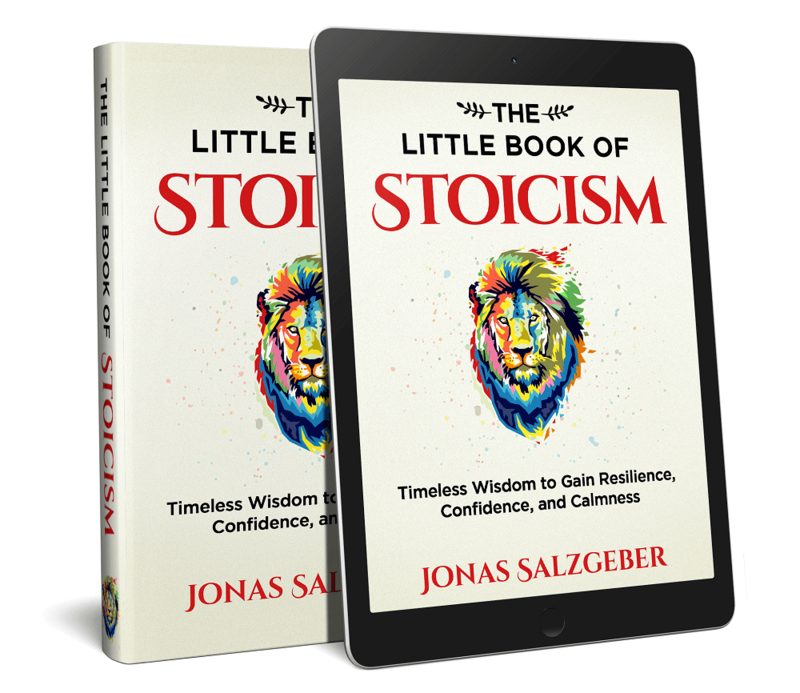 “Procrastination, in contrast to other forms of delay, is that voluntary and quite deliberate turning away from an intended action even when we know we could act on our intention right now. There is nothing preventing us from acting in a timely manner except our own reluctance to act. Procrastination is the voluntary delay of an action we intend to do. This is the puzzling part: We delay actions that we want to do. We want to study for that upcoming exam. We want to exercise regularly. We want to see the doctor before it’s possibly too late. We want to do the dishes before they pile up. But for whatever reason, we feel a reluctance to do the very things we know we want and should be doing. If we can’t overcome the reluctance, that’s called an act of procrastination. The book is all about helping us better understand procrastination and offering us tools to overcome it. Procrastination is a form of self-regulation, self-control, willpower – call it whatever you want – failure. You want to do something, but you lack the necessary willpower to follow through. The way I understand willpower and procrastination is as follows: When you feel resistance to a task, you need a certain amount of willpower to get it done anyway. The higher the resistance you feel towards a task, the more willpower is necessary. Most likely, both of these are true. For whatever reason (e.g., fear of failure), procrastinators suffer from higher-than-normal resistance to certain tasks. In addition, they suffer from lower-than-normal willpower. Together, this combination results in the endless delaying of tasks that the procrastinator should and wants to be doing. As we’ve established before, procrastinators feel strong resistance when facing certain tasks. This resistance usually manifests in the form of negative emotions. We may feel bored, angry, frustrated, anxious, depressed, or guilty when contemplating certain tasks. Since these negative emotions feel uncomfortable, we have a natural urge to run away from them and give in to feeling good. In other words, we procrastinate on dreaded tasks by doing something that feels better instead. Short-term mood repair takes precedence over long-term goals. Whenever you put off a dreaded task, you feel a relief from the negative emotions associated with that task. Unfortunately, this is very rewarding in the moment. And, as you may have learned in a basic psychology course, behaviors that get rewarded get repeated. Procrastination is deeply rewarding in the short-term. And so every act of needless delay is reinforcing the habit of delaying again in the future. At the core of our problem with procrastination are negative emotions. The tasks we put off are the ones that induce negative feelings in us – tasks that make us feel anxious, bored, frustrated, angry, or whatever. In addition, we are most likely to procrastinate when we are already in a bad mood. Even if a task might not be very aversive, we’re still likely to procrastinate on it when we’re feeling bad. If we’re serious about overcoming procrastination, we need to learn to more effectively perceive, understand, and regulate our emotions. This is basically what my book on procrastination is all about. First, our motivational state doesn’t need to match the task at hand. We can get something done whether we feel like it or not. Let’s face it: there will be many tasks in our lives that we won’t feel like doing. So what? We don’t need to be in the mood to do the taxes, clean the house, or study for important exams. We can just get it over with whether we feel like it or not. In fact, this ability to do what needs to get done whether you feel like it or not lies at the core of beating procrastination. The better you get at this, the less you’ll struggle with procrastination. It’s the type of emotional intelligence we were talking about earlier. Second, attitudes follow behaviors more than behaviors follow attitudes. In other words, mood follows action. When you act a certain way, your mood will shift accordingly. When you get started on a dreaded task, your mood will tend to improve. When you get a workout in in spite of feeling unmotivated, you’ll find yourself getting motivated. As you change your actions, so your mood will change. I have written an entire article on the importance of just getting started. In short, the mere act of getting started can make all the difference in overcoming procrastination. For starters, it immediately relieves the negative emotions associated with the task. Perceptions of yourself and the task change: you realize you can get this done and the task isn’t nearly as bad as you thought. Getting started helps you make that all-important step from non-doing to doing – an object in motion stays in motion. Most importantly, getting started leads to upward spirals of making progress, feeling better about yourself, boosting self-efficacy beliefs, growing more self-confidence, making even more progress, feeling even better, and so on. Recall that procrastination is the voluntary delay of an intended action. We have an intention, but we fail to put it into action. Now read that last line of the first passage from above: implementation intentions are a powerful tool to move from a goal intention to an action. Implementation intentions are the very thing that help us make the bridge between intention and action. They are the very thing that helps us move from non-doing to doing. They are what helps us get started. The “if” part sets a stimulus for action. The “then” part describes the desired action. We are trying to predetermine our future behavior. We are deciding now how we will act in the future. In other words, we are trying to delegate the control of the initiation of a behavior to a specific situation without requiring conscious decision. If an implementation intention works, then we’ll automatically find ourselves doing the right thing. If it’s Sunday after breakfast, then I’ll start studying for my exams. If I come home from work, then I’ll cook a healthy dinner. If it’s lunch break, then I’ll go to the gym. If I’m unmotivated to do the taxes, then I’ll do them anyway. Implementation intentions are a surprisingly powerful tool, not only in beating procrastination but in helping us achieve many other goal-related behaviors. I’ve written a complete article on it here and an article solely focused on using if-then plans to overcome procrastination here. 8. To Stay Connected to Your Goals, Disconnect From The Internet!! How many times an hour do you give in to distractions? How many times do you check email, hop on social media, have a quick look at the news, or unlock your smartphone? We may not be aware of it, but this constant check-in behavior, task switching, multitasking, and getting distracted is killing our productivity. If you’re serious about getting a grasp on procrastination and getting meaningful things done, you need to find a way to handle distractions. Block certain websites and apps on your phone. Don’t check email more than twice a day. Give yourself blocks of time without internet. Whatever you do, shut off those distractions. So, procrastination creates cognitive dissonance: you should or want to be doing something but you aren’t doing it. Distraction. We simply divert our attention away from dissonant cognitions and avoid the negative emotional state caused by the dissonance. Forgetting. We forget what we have to do, either actively (e.g., suppressing dissonant cognitions) or passively (e.g., for unimportant tasks). Trivialization. This involves downplaying the importance of what you have to do. Self-affirmation. We focus on our core values and personality traits to reassert our sense of self in spite of dissonance. Denial of responsibility. We distance ourselves as a causal agent in the dissonance. Changing behavior. This would mean to stop procrastinating and take effective action. Unfortunately, not what we usually do. Knowing these rationalizations can be surprisingly helpful in overcoming procrastination. Instead of believing every excuse your mind is coming up with, you can now spot them as what they are: ways to alleviate dissonance and feel better. “We all face setbacks, disappointing moments, and frustrations with our apparent lack of progress. Your attitude toward these setbacks and yourself will be extremely important to your continued progress. Be kind but firm with yourself, and be willing to forgive yourself when you do not live up to your own expectations. This is so important. Overcoming procrastination isn’t going to be a journey of one win to the next. More likely, it’s going to be a constant struggle with the occasional win and lots and lots of setbacks. If you give up, criticize yourself, or get all sad and depressed every time you’re experiencing a setback, you won’t get very far. You need to expect setbacks and then you need to respond in a self-compassionate and self-forgiving way. That’s how you’ll achieve the biggest and fastest progress possible. It’s self-compassion, not self-criticism that leads to success and happiness. This has been really important in my journey of overcoming procrastination. Which is why I’ve written several articles on the topic. If you enjoyed this summary or want to learn more about procrastination, you'll probably enjoy the following books. Stop Procrastinating by yours truly. As you may know, I’ve written a book about overcoming procrastination myself. You can grab it on Amazon Kindle here.